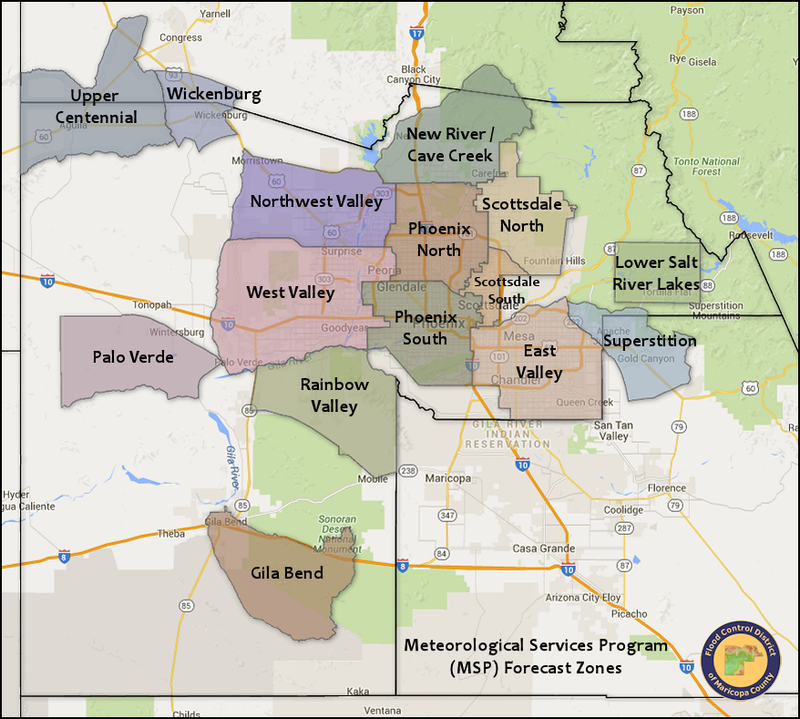 The District operates 40 real-time weather stations throughout the Maricopa County region. Different combinations of temperature, humidity, dewpoint, barometric pressure, solar radiation and wind speed/direction are measured and transmitted to the District every 15 or 30 minutes. The data can be viewed using the tools on this page in different formats such as tables, plots and maps. Forecast Zones Map Opens a New Window. Statistical Reports Opens a New Window. Plot Weather Sensor Data Opens a New Window.